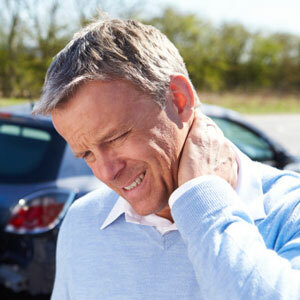 When you’re involved in motor vehicle accident, you’ll undoubtedly suffer sprains and strains. Sprains are the tearing or wrenching of a joint, while strains are the tearing of muscle fibers beyond their normal anatomic limit. Chiropractic care is the treatment of choice for sprains and strains. Furthermore, car accidents initiate an inflammatory process in your body, which affects your joints and nerves. Chiropractic care can help restore motion to your spine and other affected areas, eliminating that inflammation and allowing your body to function well again. While taking medication may relieve your immediate pain, that’s a temporary solution to potentially long-term, devastating health problems. If you’re experiencing any degree of pain following a motor vehicle accident, seek chiropractic care quickly. The longer you wait, the more inflammation will settle into your body. Long-term inflammation contributes to debilitating, life-long ailments such as osteoarthritis, abnormal joint motion, and chronic pain. Recovering from car crash-related injuries can take time, so be patient with your body. Everyone’s needs are different, and your treatment plan will depend on your age and the nature of the injury you sustained. Get your health back on track by contacting our practice today.